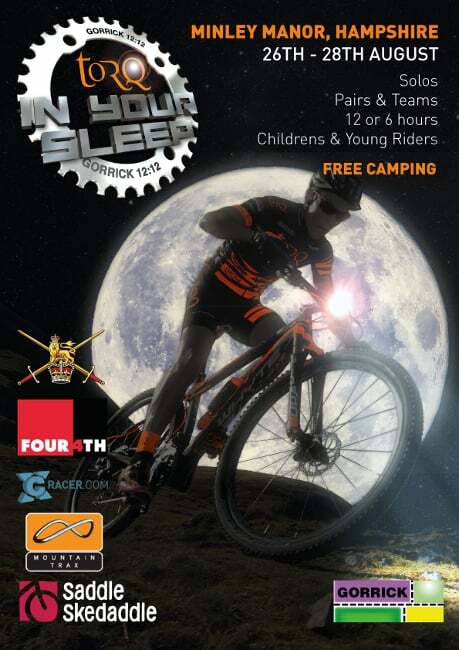 Our TORQ in your Sleep event grows every year and for 2017 there will be a step change in the way the event is presented, with a bigger and more spectacular atmosphere than ever in the main arena. If you fancy riding your Mountain Bike through some of the sweetest forest trails in The South, you might want to stick this well-established event on your radar? Taking place over the August Bank Holiday weekend at Minley Manor, Hampshire, there are age categories available for Solos, Pairs and Teams, plus Single Speed and Fat Bike sub categories. Just minutes from the M3 junction 4A, the course covers a superb 8-mile figure of 8 circuit of heath land, beech woods, pine forest and open parkland. The TORQ Team look forward to seeing you there – and racing against you!